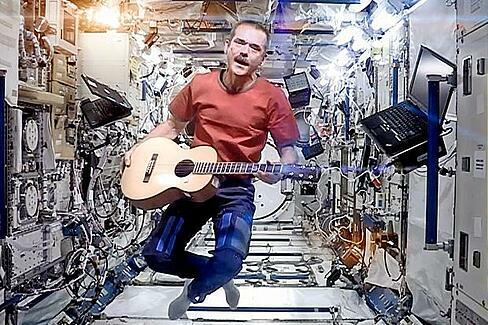 Referred to as “the most famous astronaut since Neil Armstrong,” Colonel Chris Hadfield is a worldwide sensation whose rendition of David Bowie’s Space Oddity gained over 41 million views and was called “possibly the most poignant version of the song ever created” by Bowie himself. 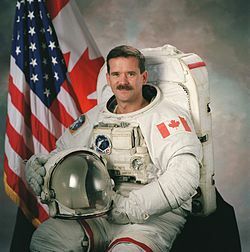 Acclaimed for making outer space accessible to millions with his Rare Earth series, Hadfield was the first Canadian to walk in space, he has escorted Soviet bombers out of Canadian airspace and has famously broken into a Russian space station using a Swiss Army knife. Not only that but he has also lived in a research vessel at the bottom of the sea and happens to be a talented musician! A heavily decorated astronaut, engineer and pilot, as well as the author of three internationally bestselling books, Hadfield is possibly the biggest speaker to join Dublin Tech Summit to date. This announcement is just another example of where DTS plans to take us for their third annual event in April 2019. The move to the RDS means a bigger venue and a more creative exhibition space, and the line-up is already shaping up to be something truly spectacular with NASA CTO Douglas Terrier joining Colonel Hadfield flying the flag for space exploration, while Mihai Alisie, Co-Founder of Ethereum and Martha Lane Fox among many other big names join the growing list to bring us some incredible content that will give us a glimpse into the future of business and technology. Dublin Tech Summit have extended their Super Early bird tickets by one week so get yours for €188 here before this offer ends. DTS 2019 will bring together global leaders in innovation, technology and business to shape the future of global trends and technologies. The summit will showcase everything Dublin has to offer as a global technology hub, exploring emerging technologies in an attempt to uncover what the future holds for society, as well as goals to affect change in the areas of diversity, inequality, and sustainability. To learn more visit dublintechsummit.com and follow them on Facebook and Twitter.